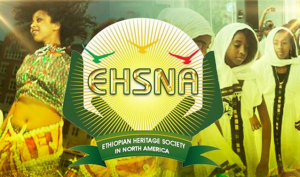 The Ethiopian Heritage Society in North America (EHSNA), held its fourth annual event successfully. The Civic Building in Silver Spring Maryland was full to three-fourth of its capacity when the 4th Annual Heritage Festival was opened on Friday, July 25th, 2014. 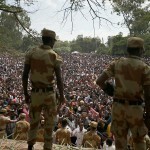 All sections of members of the Ethiopian community, young and old, women and men, kids and teenagers were in attendance. Once dignitaries and invited guests took their seats, the MC opened the show with a recital of Bedilu Wakjira’s poem entitled, “What does a Country Mean” followed by the welcoming speech of the president of the Society, Mr. Abebe Hailu. The Friday event was covered with some light music, art, poetry and brief speeches from honorees as well as special guests. Following the Captain, young artist, Ezra Woube, showed a video depicting his art. His art consisted of Ethiopian folktales which were presented in forms of art that was recorded in real-time and resembled animation when being played for the audience. The audience loved it, laughing, and clapping whenever a nostalgic image of back home would come on the screen. It was then the turn of, Human Rights activists, Obang Metho to deliver his keynote speech, and as usual, Obang made a moving and inspirational speech about the type of Ethiopia we should bestow upon our heirs. Democratic state delegate Tom Hucker gave a brief speech and thanked the Ethiopian community, and made future promises to engage the Ethiopian the community with facility funding and building. On the second day, 26th, a fruitful and lively panel discussion was held at the Residence Inn at Marriot Hotel in Rosylin, Virginia where Fitawurari Mekonne Dori, Mr. Fekade Shewakena, and Mr. Obang Metho spoke and the renowned lawyer Mr. Shakespeare Feyissa facilitated the discussion. In the afternoon session, the event was held at the scenic Georgetown University Multi-Sport Complex, in Washington D.C where adult and kids sport activities took place with some Ethiopian and reggae music. From local Ethiopian singers, Seyoum Moges was featured with the newly organized band comprising keyboardist Daniel Weldegebriel and saxophonist Felke Yenesew. On closing day, the 27th, the outdoor activities continued as they did on Saturday, with more entertainment featured. The cultural group, Kignit, performed Ethiopian traditional dances, and following them young Ethiopian Americans, displayed stunning cultural show which included a short drama and dance which incorporated the various Ethiopian cultural. Towards the end of the night, featured entertainers such as Tigist Fantahun, Tsegaye Eshetu, and Shambel Belayneh, and they were accompanied by adorable Ethiopian kids proudly dancing next to the stage. The annual EHSNA honorees were given their awards; Nahom Marie for his extraordinary academic achievement, Zone 9 Bloggers as an unsung heroes fighting for freedom of expression, and Laureate Tsegaye Gebremedhin for his contribution to the advancement of humanity and Ethiopian culture and history. For the rest of the year, the EHSNA intends continue with the annual strategy and goals outlined at the beginning of the year. To recall the goals once more, they include establishing an Ethiopian community center, creating funding schemes, building stronger ties with Ethiopian based organizations, and building lasting sponsorships. These three strategy outline are designed to work towards a longer goal the EHSNA has continuously reiterated. 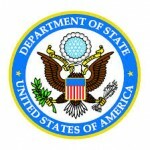 This is goal is building a permanent institution and service center at the heart of the DMV (DC, Maryland, Virginia) area. This intuition would be catered to the Ethiopian community giving a variety of services of which the community is in demand of. We would like to thank our sponsors for helping us host a successful event. 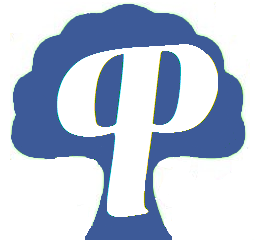 Please send us your opinions and better yet become a member and help build your community. By being part of the EHSNA, you are directly building your community. The EHSNA has always had an open policy to work directly with the community, so we would like to hear from you. Posted by cybereth on Aug 11 2014. Filed under News, Views and Opinions. You can follow any responses to this entry through the RSS 2.0. Both comments and pings are currently closed.